Chek Jawa Guided Tour is a tour that you must exercise kiasu-ism when you do booking. When I did my booking for June guided tour, I put a reminder on my calendar as early as January to remind myself to book on 1 March, the date when booking for June opens! It is very popular especially on dates that suited us in June holidays. Mind you, there are limited dates for these tours, so you really have to plan well. If you wish to check out booking and guided tour dates, click here. On the day of the tour, we met my BFF family at 7am at Changi Jetty. It was rare for our kids to wake up so early and we were rewarded with sighting this beautiful sunrise! We took the boat from Changi Jetty that sits maximum 12 pax, with each paying $3 for the ride to Pulau Ubin. The ride was about 10 minutes and when we had reached the Pulau Ubin Jetty, we took a van to Chek Jawa. We have to pre-book the van prior to our trip (Scroll to the end for all the details and cost for the tour). The van could accommodate all 15 of us, 8 adults and 7 kids. The van ride took about 10 minutes to Chek Jawa and we had to get down and walk a 100m stretch of road to the information kiosk, the meeting point where we met our tour guide from Nparks. There were a few more tour groups, each with its own tour guide. The tour guides are volunteers and I thought they are really doing a good thing to volunteer their time to educate us on the ecosystem of Chek Jawa. We were very lucky to have our tour guide who was very patient to answer the kids’ questions and very knowledgeable on Chek Jawa. His instructions and explanation were very clear and shared lots of analogies in simple terms to help us understand the flora and fauna. Go to toilet before we start as there will not be a washroom until we return to the information kiosk 2 hours later. Do not shout or scream when you see the little creatures like crabs, mudskippers, etc, as they are shy and might go into hiding, leaving the groups behind to see less of them. This is a place which I had been wanting to go to since its first opening last year. You have to book through Sistic ticketing for entry to the museum. This is to ensure a pleasant visit. You wouldn’t want to risk shoving or being shoved off at every exhibit. And that reminds me of the time when I visited The Palace Museum (Forbidden City) in Beijing during Summer holidays. It was a pain just to catch a glimpse of the Emperor’s throne when I was pushed and elbowed by grandmas and kids. Thankfully this museum is nothing like that. Lee Kong Chian Natural History Museum (LKCNHM) is built for public education and research in biodiversity. 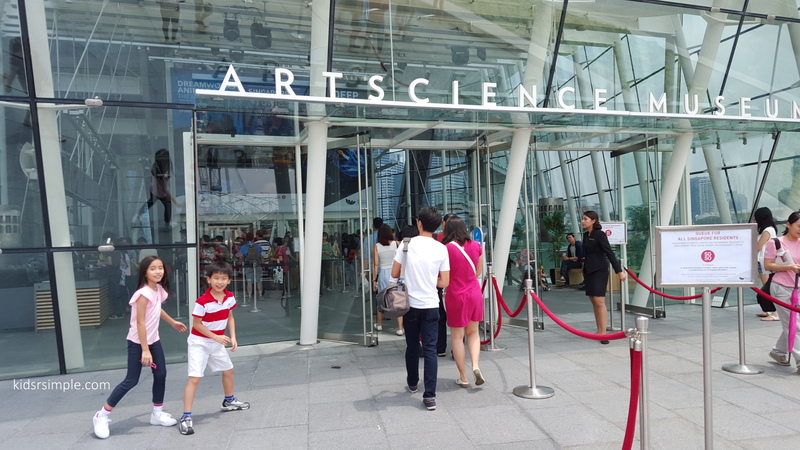 It is a museum that maintains and grows a natural heritage knowledge base that focuses on its huge collection of historical and research specimens (Source: LKCNHM website). Our first Staycation probably starts with our wedding night at Ritz Carlton hotel 11 years ago. From then on, we went back to the same hotel almost every year as we love its hospitality and the luxurious room and also the place is a reminisce of our special Big day. In between, we did check out Marriott Hotel, Royal Plaza on Scotts Hotel, Marina Bay Sands, and Festive Hotel. On most times, we chose staycation as an alternative to travelling out of Singapore and did mostly impromptu arrangements. I hardly blog about staycation unless it is family friendly. So as you can guess, how this post came about. 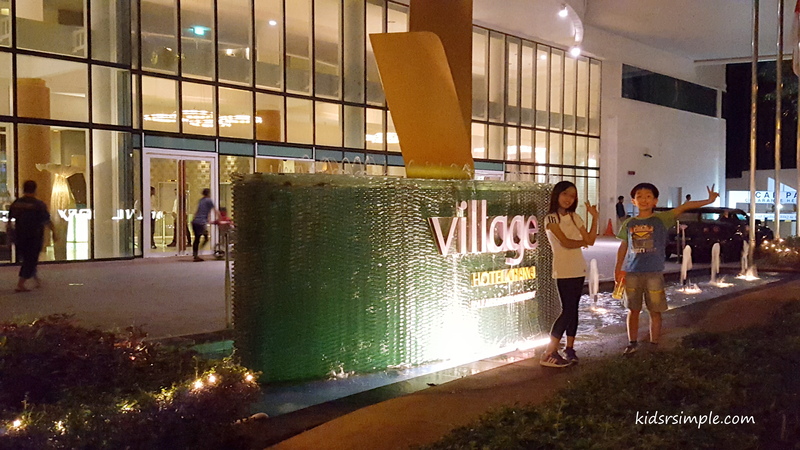 We were invited by Far East Hospitality to try out the “Play and Stay” package at Village Hotel Changi and upon hearing what the package had in store for us, I knew we would be having a fun time as a family of 5. What does the “Play and Stay” Package include? Price? My last check on the website shows SGD170 for a Superior Room 2 Single Bed and SGD190 for a Deluxe Room King Bed! Pretty good deal for all the fun we had! As Singapore celebrates her 50th birthday which we called our Jubilee Celebration, we had a rare long weekend of 4 days “staycation” in Singapore! Apart from Chinese New Year which we once in some years may have a 4 days straight holidays where we spend visiting relatives and friends, this is perhaps almost once in 50 years where we had 4 days straight holidays to enjoy Singapore like tourists in our home country. Best part is many attractions are free or at heavily discounted rates. So, like typical Singaporeans, we thronged to free attractions together with fellow citizens to celebrate as one Singapore! Happy Birthday Singapore! We did not really flock to each and every free attraction. In fact, we only wanted to go to the Art Science Museum or Gardens by the Bay flower domes. Perhaps Singaporeans had been well-trained to queue some months back to pay respects to Mr Lee Kuan Yew during the lying in state period, we batted no eyelids upon queuing for several hours up to 10 hours for free cable car rides! On our way to the Art Science Museum, I did do a quick check on facebook status on the queue time at the museum and saw 4-5 hours wait! I was so determined to bring the kids to see “The Deep” where the exhibition is on the ocean life deep down to the ocean bed, I was undeterred about the long waiting time. Luckily for us, we queued for only 1 hour and finally saw the entrance. As I pen down my words on the Condolence book at the lobby of my office, I fought back tears. 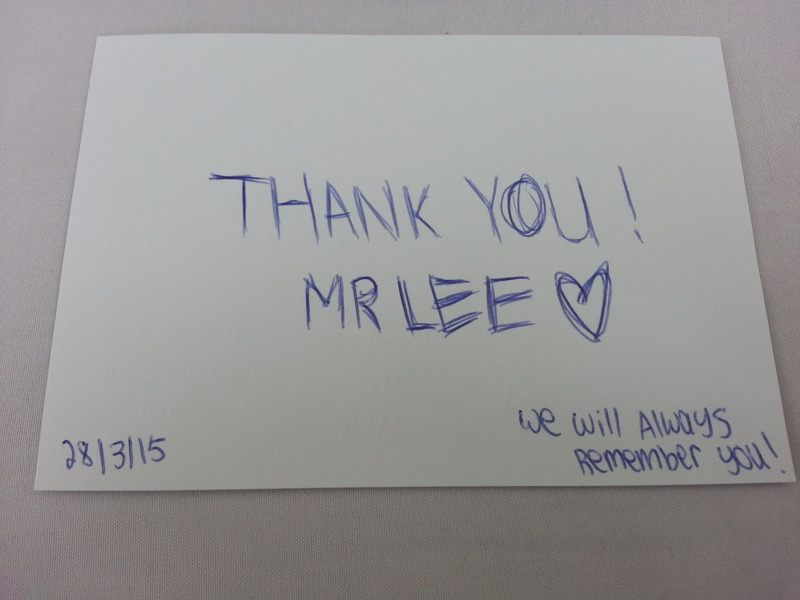 Our founding father, Mr Lee Kuan Yew, an icon of Singapore is no more. In the early hours of 23 March 2015, our founding father passed away in peace, at the age of 91. Soon, the internet and all TV stations were outpouring with grief and all Singapore flags were flown at half mast. Singapore was declared to be in national mourning for the whole of last week 23 – 29 March on which 29 March was the state funeral when all Singaporeans wept for our warrior, our hero and our father of Singapore.